Anne Barry Jolles and I have been acquainted as coaching colleagues for many years. While we don’t know one another well, we have long admired each other’s work from afar. 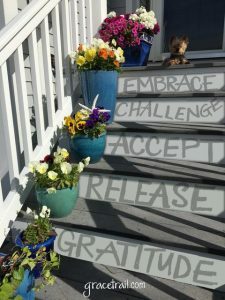 A few months ago, I became aware of Anne’s “Grace Trail” project, a simple creative process and tool for helping people move through overwhelming challenges. Right away, I wanted to know more. When we finally had the chance to talk, Anne presented me with a Grace Trail Kit. My first thought was that this was something to share with the Transformational Presence community. As she explained more about it, I quickly saw the value of the Grace Trail in working with individuals, with teams and organizations, and even with very large groups. 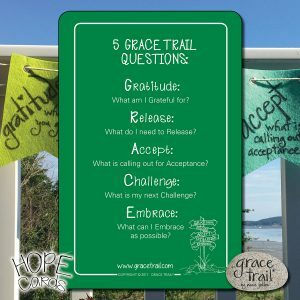 The Grace Trail is a simple five-step resiliency process that begins with gratitude and ends with hope. ‘GRACE’ is an acronym for the five steps: Gratitude, Release, Accept, Challenge, Embrace. These five words and their associated questions first came to me in 2000 when I was at a very low point in my life, feeling beaten down and discouraged. Little did I know that five simple words and questions would evolve into an incredible gift! In 2012, my son was serving in the military in Afghanistan. Struggling to cope with the stress, I wanted to create something in my hometown of Plymouth, Massachusetts, USA that could help people who were having a hard time. So I decided to create an inspirational trail to help people center themselves in hope and possibility. The town of Plymouth is right on the coast of the Atlantic Ocean. I gathered beach stones, wrote the Grace Trail words and questions on them, and placed them along a mile-long path. Soon, many people were discovering and walking this trail, and the idea started to spread. To make a long story short, in a few short years, the Grace Trail has become a global movement. People are now creating Grace Trails all over the world! In the meantime, my son is back home and is navigating a period of post-traumatic growth. Gratitude – What am I Grateful for? Release – What do I need to Release? Acceptance – What is calling out for Acceptance? Challenge – What is my next Challenge? Embrace – What can I Embrace as possible? The idea is that as you walk the trail, you encounter the words and questions along the way. When you come to the first word, you pause to take it in and reflect on the question. Then you walk on to the next word and question where you pause and reflect again. Your walk continues until you have visited every question. You can create a Grace Trail out in nature or in an enclosed space. You can even create a very simple “trail” on a table using the Grace Trail cards, and then “walk” the trail simply by moving your finger slowly from one card to the next. When I asked Anne what kinds of people are making and walking Grace Trails, you could feel her excitement and passion as she spoke. So many different kinds of people from every imaginable walk of life: individuals, businesses, schools, religious groups, hospitals, families, friends, veterans, recovery groups and centers, yoga studios, event managers, senior and community centers, cancer treatment centers, support groups, wellness centers, grief support groups, coaches, teachers, social workers, scout troops… Since the questions can be customized to the needs of the person or group, the possibilities are endless. I have created Grace Trails that were walked by 14,000 women as a part of the Massachusetts Conference for Women, and for 20,000 attendees at the Boston FIGMENT Festival. The staff of Massachusetts Institute of Technology (MIT) in Boston, USA will walk the Grace Trail as a part of their staff retreat this summer. TJX, INC, a fortune 500 company in the U.S., has begun to incorporate the Grace Trail into their internal coaching program to be able to offer this to their employees worldwide. The Jett Foundation, supporting individuals affected by neuromuscular disorders, just incorporated the Grace Trail into their annual retreat for team building and stress management. At the same time, it is being used in small-group and one-on-one settings. Every day, I hear from people all around the world telling me how the Grace Trail has helped them face their challenges with a sense of hope, and helped them become more resilient in the face of major life obstacles. The Grace Trail is in complete alignment with Transformational Presence. 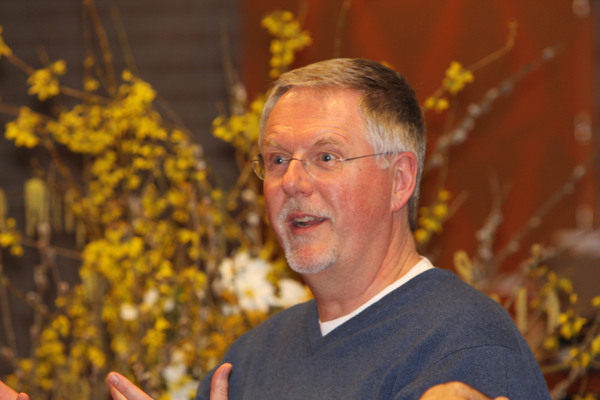 You can learn more about the Grace Trail, including how to create your own trail or how to use this simple yet powerful process with those you serve, at gracetrail.com. And just to be fully transparent, I am not an affiliate of Anne’s company nor will I earn a commission if you choose to purchase anything from Anne. I just love what she has created and want to share her simple yet powerful process. 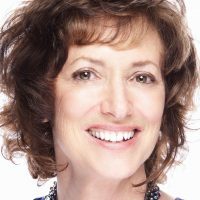 Thank you, Anne, for walking through your own difficulties and turning your personal transformation into a tool and process that can make a difference in so many people’s lives.